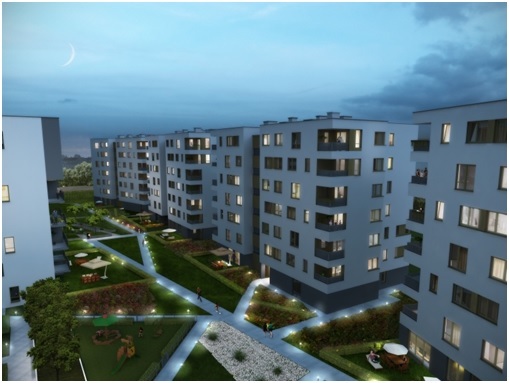 Following the construction of the housing estate Kolorowy Gocław in Warsaw, we started cooperating with Yareal Polska, a part of Yareal International N.V., which is a company operating on the real estate market in Europe. The projects in the field of residential and office estates carried out by Yareal on the Polish market of are distinguished by the highest level of quality and modernity of solutions. Yareal’s strategy based on the optimal adaptation of the offer to the expectations and needs of customers is the best guarantee of security and increasing value of investments. The housing estate Kolorowy Gocław is composed of six modern residential buildings with service establishments on the ground floor and an underground parking. The construction of the estate is divided into two stages. The arrangement of the buildings will form interior courtyards for the residents together with a recreation space and playgrounds for children, convenient communication system and harmonious greenery. Despite the functional division into stages, the entire estate forms a homogeneous whole which fits well with the surroundings. In each of the two parts of the estate, there will be a separate main entrance with a spacious representative lobby and a reception. 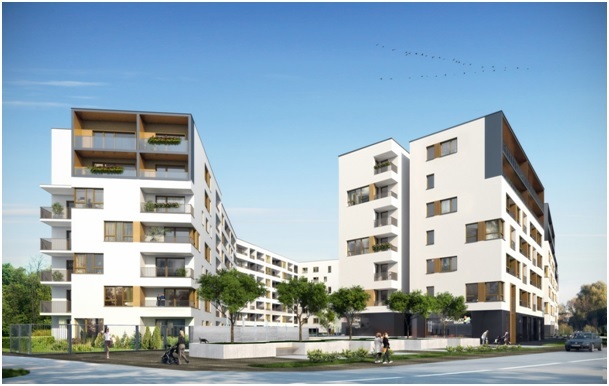 The high quality of apartments, which is standard for all Yareal’s investments, will be ensured through a suitable investment supervision conducted by a team of experienced engineers from BatiPlus.